CARFAX 1-Owner. JUST REPRICED FROM $16,988. Satellite Radio, Back-Up Camera, iPod/MP3 Input, Keyless Start, Turbo, Alloy Wheels READ MORE! Back-Up Camera, Satellite Radio, iPod/MP3 Input, Onboard Communications System, Aluminum Wheels, Keyless Start Chevrolet LT with MOSAIC BLACK METALLIC exterior and JET BLACK interior features a 4 Cylinder Engine with 160 HP at 5700 RPM*. TRANSMISSION, 6-SPEED AUTOMATIC (STD), ENGINE, 1.5L TURBO DOHC 4-CYLINDER DI with Variable Valve Timing (VVT) (160 hp [119.3 kW] @ 5700 rpm, 184 lb-ft torque [248.4 N-m] @ 2500-3000 rpm) (STD), AUDIO SYSTEM, CHEVROLET MYLINK RADIO WITH 7" DIAGONAL COLOR TOUCH-SCREEN, AM/FM STEREO with seek-and-scan and digital clock, includes Bluetooth streaming audio for music and select phones; featuring Android Auto and Apple CarPlay capability for compatible phone (STD). MP3 Player, Keyless Entry, Child Safety Locks, Steering Wheel Controls, Heated Mirrors. 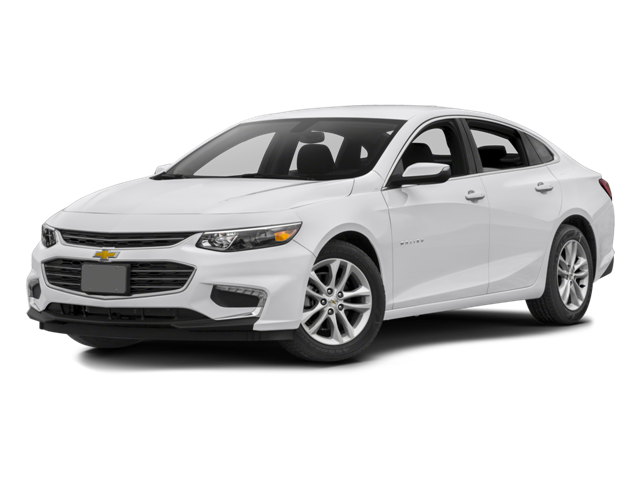 Hello, I would like more information about the 2016 Chevrolet Malibu, stock# A16168. Hello, I would like to see more pictures of the 2016 Chevrolet Malibu, stock# A16168.